Life is the most important school you’ll ever go to. You’d think the tuition is free…but it’s actually not. The chances that you would be born as YOU are less than 1 in a million…possibly less than 1 in a billion. I mean, sh*t, there are 7 billion of us on the planet at the moment and we’re all here based on a quirk or fluke in biology. That has to do with the birds and the bees, which I promise, I’m not getting into in this post. My point is that you could have been anyone else in the world, but you’re here right now as YOU. How friggin’ cool is that? Mmkay, you might not get it…I am a little weird. But seriously, life is all about development and growth. The only permanent thing is impermanence. Everything else is by chance…a fluke. So you see, we as humans need to step up to the plate and take this opportunity we’ve been given. You know when people say ‘Stay in school, kids’? Yeah, that’s a thing. I know, I know. I can feel your eyes rolling but stay with me, here. You have to treat life like the school that you never leave. After all, you are stuck in it until ya croak. Whatchu gonna do with that time? There’s a ton of stuff that I’m interested in that I might not ever want to do as a career. And you know what? That’s a good thing. Bruh, what? When I was 13, I couldn’t even GET a job. It was friggin’ ILLEGAL! I sure as hell wasn’t ready for a full-time commitment like a life-long passion. That’s just ridiculous. Don’t do that to yourself. Don’t commit yourself to one thing wholeheartedly and never look at anything else (unless you really, really, really love that thing). Learning is at the crux of human development, which is a never-ending cycle. There are always new phases in your life. In between those phases, you’re changing day by day, hour by hour, minute by minute, second by second. There is never a point when we stop moving altogether. Even small movements are movements. What am I trying to say here…well, I’m saying that you should never be resistant to change. Part of being prepared for anything is learning. So go on out there and learn. Enrich your life, enrich yourself. Read a ton of books: fantasies, mysteries, historical works, philosophical works…learn about other cultures as well as your own. Learn about everything that interests you. Most people might think of creativity as something that’s only valuable to artists. But that’s so far from the truth. Scientists need to be creative, CEOs need to be creative, doctors need to be creative…being creative is part of problem-solving. Mann tracht und Gott lacht… Men plan and God laughs. You cannot pan out every aspect of your life. Whether you live 50 years or 100 years, something will go wrong. You’re gonna have to get creative in order to get on track when life deviates from your plan. (Rather, when you deviate from life’s plan. What’s gonna happen WILL happen, regardless of what you have in mind). In order to get anywhere in life, you have to be open to new information. 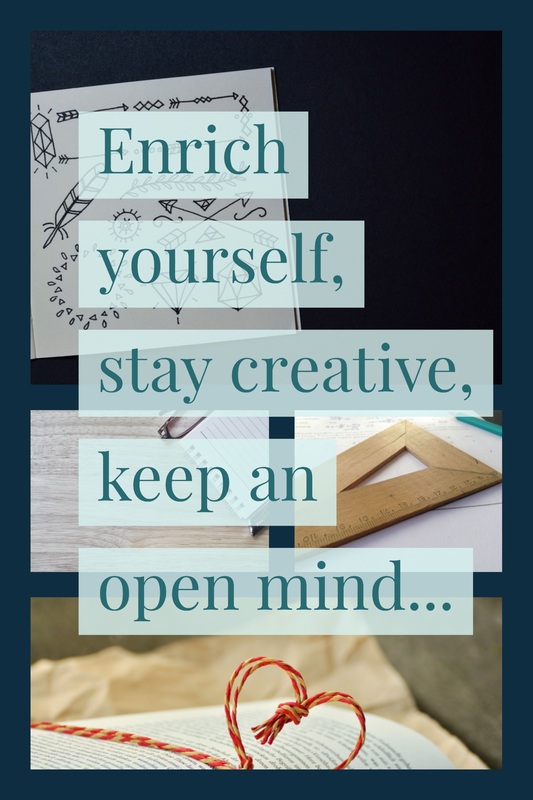 As we’ve established, life requires some form of creativity, whether you’re an artist painting on a canvas or a receptionist composing an email. And if you crash and burn or shut down every time you receive a new challenge or new info, you ain’t gonna make it, bro. Most people think that a tree is unmovable, right? It’s rooted strongly in the ground, and it’ll stay in the same place for hundreds and hundreds of years. But look at what has to happen above ground in order for that to happen. The tree goes from a tiny seedling to (sometimes) a massive structure. Every time the wind blows, its leaves rustle and its limbs bend. Sometimes, even the trunk bends. This is why the roots are able to stay so firmly in the ground. Otherwise, they’d be ripped up every time we had a little thunderstorm. So the real way to become sturdy, immovable? Learn how and when to bend. This will help you solve a majority of the problems in your life, professional and personal. Be open to change. You don’t have to love it, but you have to do it. And when you learn to accept this, you’ll be much happier for it. Why not keep learning throughout your life? Shoot, learning is fun! Possibilities, passion, discoveries…when you stop learning, these things go away. Who wants that? Why would you want to get rid of those things? Look, I’m all for living a comfortable life, consistency, reliability…but I also love experiences. You don’t always have to have money for a plane ticket to go exploring. Sometimes, it’s as easy as blowing the dust off your library card and pickin’ up a few books. There’s surviving, and then there’s living. I’d rather live for 20 years than survive for 80. Because who the hell wants to live without living? By this, I mean would you rather go skydiving and die laughing or spend day after day staring at a wall? Sure, the latter is safer, but what are you getting from it? Other than you’re pretty sure you’ll be there the next day…doing the same thing…no difference. That ain’t no way to be. Learn how to live. There’s no reason not to. 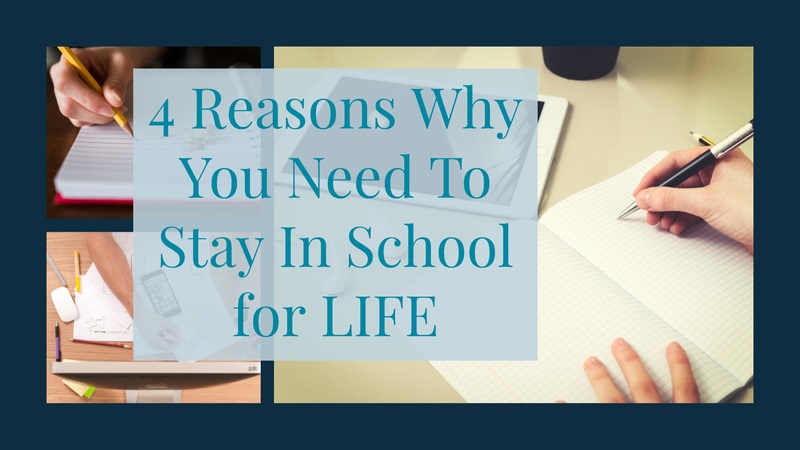 You don’t have to have a ton of money or take out a bunch of loans to be a student of life. 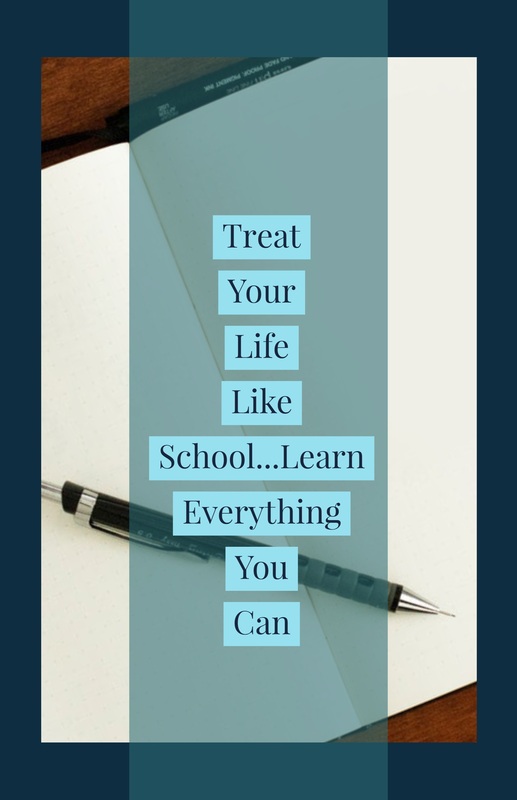 Life IS school. It’s the school that never ends. And you can learn to make the most of it or you can sit at your desk with your fingers laced and not participate. ….How you gonna spend that time?